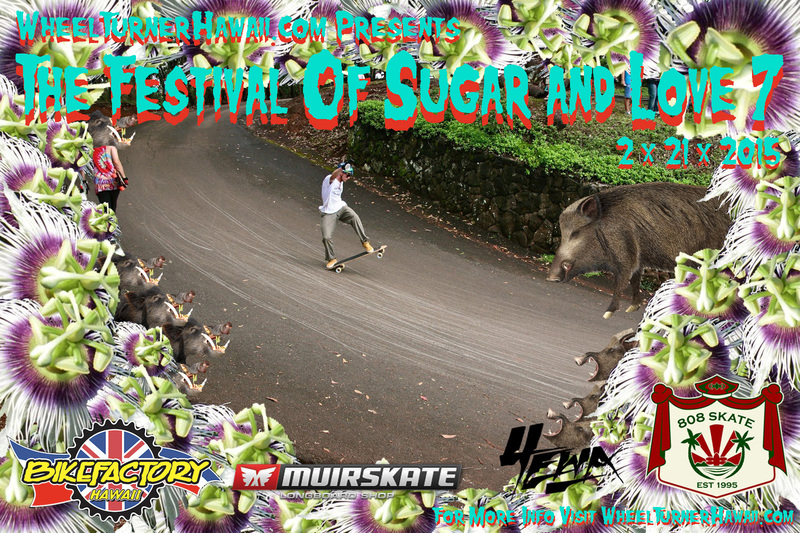 The Festival of Sugar is back for it's 7th year and its gonna be oozing with steeze as always! Hawaii's best downhill skateboarders will be gathering at the Loop on February 21st to battle it out to see who's got the most style and creativity the islands have to offer. Riders will be jamming giving it everything they got to impress the judges until we work our way down to our top rider who will be crowned the new F.O.S.A.L champ. The format for the event is pretty mellow and easy going... created to be more of a homie jam session then a competition. Riders get 45 minutes to take as many runs as they wish, it can be 1 run or it can be 50... whatever they think it'll take to make it onto the next round. Once we get into the last few rounds is when it comes down to a limited number of runs, all which will be judged... so this is when you can't to be clean and flawless. Remember, a HELMET and GLOVES are required to jam in this event... we'd like everyone to be able to go hard and stay safe! I'd recommend booking all of your friends on the same permit to keep it cheap. CAMPING will just be a chance for all the racers to hang out and chill the night after the race. If you can't make it , NO WORRIES... you will not miss any part of the event. REMEMBER, we also have the race out on the North Shore February 22nd which is the day after F.O.S.A.L, so camping would be a good way to already be rolling with the crew. We are stoked to have the Festival Of Sugar And Love going for its 7th year and lets make it a memorable one. Remember to get your camping permits and we will see you on the 21st. Check out some of the past festivals.